Third-year wide receiver Dee Brizzolara caught a pair of passes for touchdowns and returned a punt for another as Chicago stomped on Denison to the tune of a 38–23 road victory. Third-year wide receiver Dee Brizzolara caught a pair of passes for touchdowns and returned a punt for another as Chicago stomped on Denison to the tune of a 38–23 road victory. 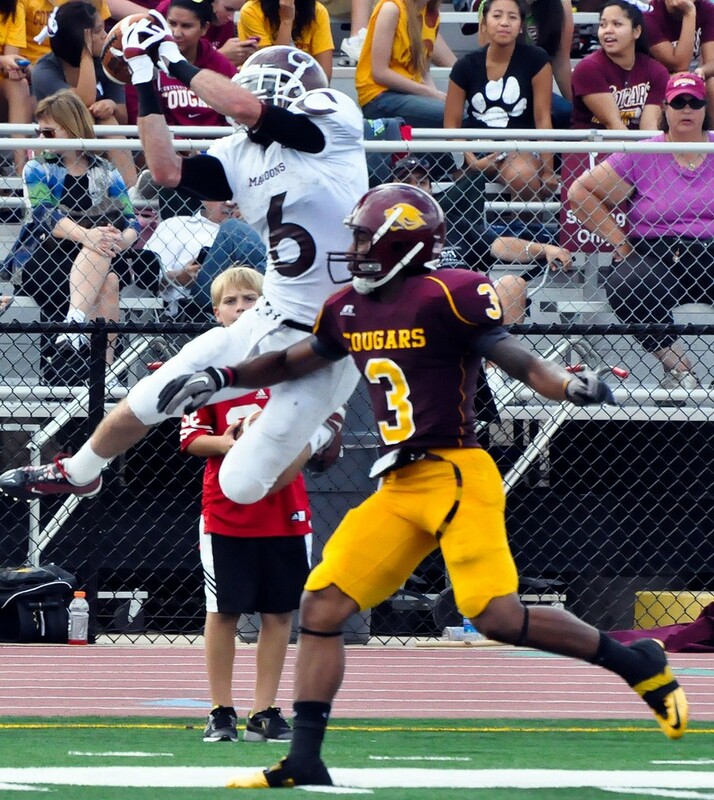 With his two receiving scores, Brizzolara set the Maroons’ modern era record for receiving touchdowns, and his 39-yard punt return touchdown tied him for the Maroons’ modern era record for total touchdowns. Brizzolara and the offense got going quickly, as third-year quarterback Kevin Shelton connected with the wideout for a 53-yard touchdown on the first play from scrimmage. Brizzolara’s punt return came early in the second quarter, and he caught his second score from second-year quarterback Vincent Cortina with 1:17 remaining in the first half to push Chicago’s lead to 11 points. Brizzolara surpassed former teammate Clay Wolff for the school record. Third-year linebacker Alex Dzierbicki returned an interception for a touchdown early in the third quarter to further pad the Maroons’ lead, and Shelton ran for a touchdown from five yards out in the fourth quarter to cap the scoring. First-year running back Zak Ross-Nash led the rushing attack with 104 yards on 14 carries, including an electrifying 51-yard run to set up Shelton’s rushing score. The Big Red was unable to keep up against the Chicago defense. The Maroons tallied seven sacks and 11 tackles for losses to go along with two interceptions and a fumble reception, thanks in part to a more aggressive approach early in the game. The Maroons’ coaching staff has placed an increased emphasis on avoiding the mental errors that plagued them earlier in the season, and against Denison, it certainly paid off. Chicago only committed one penalty, compared to 14 last week against Ohio Wesleyan and seven the week before against Wabash. Although the defense put up an impressive sack total and recorded three takeaways, they are still working on preventing opponents from reaching the end zone. Chicago has a bye this week. The Maroons look to extend their winning streak to three against Kenyon on October 22 in their homecoming game.